The Aviv Tallit is classic of its class. The shawl styled tallit is made from a quality wool and Dacron blend which compose the quality look and feel as well as added durability. 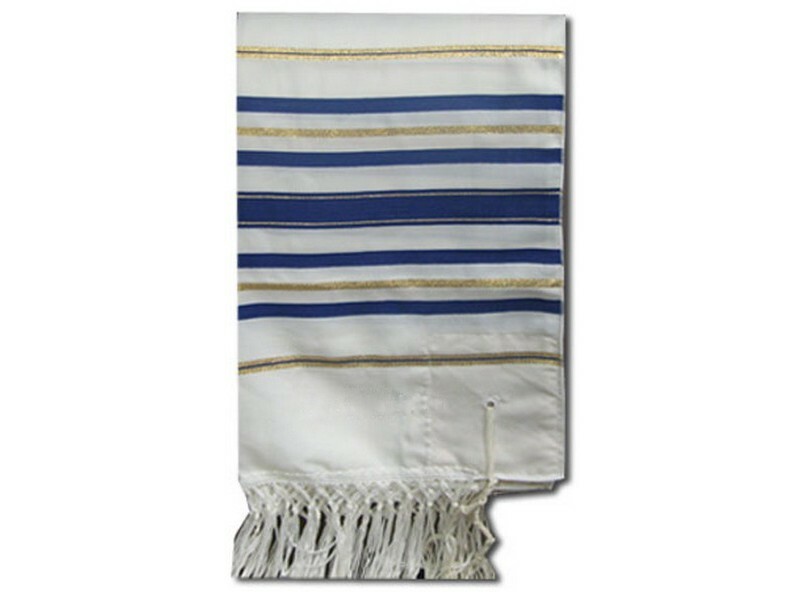 The Aviv Tallit has beautiful dark blue stripes, with a choice of gold or silver Lurex stripes. 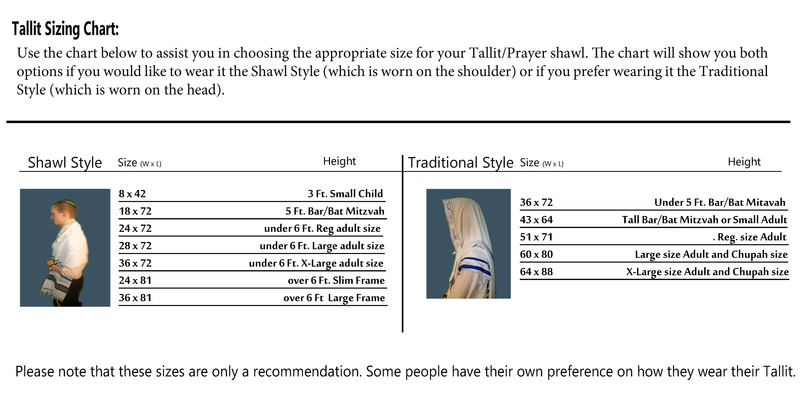 The tallit comes complete with a matching atarah neckband embroidered with the Hebrew tallit blessing. Both sides are finished with macramé string style fringes.